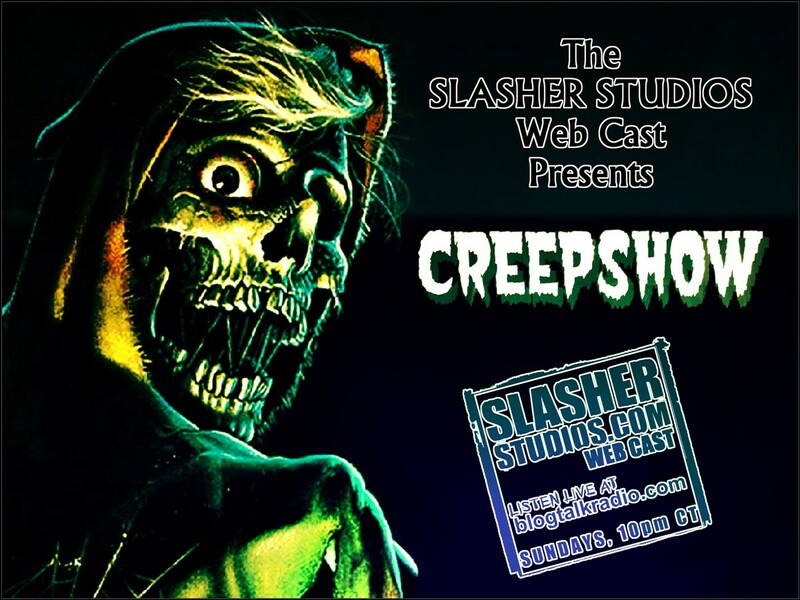 On this week’s webcast of Slasher Studios, Kevin Sommerfield and Steve Goltz will be reviewing the Creepshow trilogy in all its gory glory. Which stories work best? Which stories didn’t work at all? Which installment did we like the best? Join us Sunday night at 10PM central to find out all the details! Click on the link below to listen in live or to catch one of our previous episodes.